Take a leaf out of the books of big businesses who know how to keep a news story running and running. The vast majority of the largest companies in the world have a series of press releases that are so good that every so often they like to send them back out again and for some strange reason they pick up lots of distribution for their brand again. You can do the very same thing on Twitter. All you need to do is discover which of your tweets got the best response from your Followers (i.e. were marketed as a favourite tweet by them and Retweeted). This is a very simple process, all you have to do is point your browser to http://favstar.fm/ and where it says ‘Choose User’, just enter your Twitter ID. The results page will show you the best tweets that you have EVER sent out; all you now need to do is Retweet the best ones, some of them might need a little bit of Spin (rewording a little), and you’ll end up with more twitter users seeing your tweets easily. It’s a fact that if you try to beat Google by trying the latest way to force your pages into the top of the rankings then you will get found out! Site owners that were spanked by Google's most recent updates (Penguin or Panda), will testify to the fact that you have to bide your time. A spammy approach to gaining good ranking will hurt you and your business in the long run. There is no automated way to the top, no quick win – only and effort will get you there. If you owned a ‘bricks and motor’ store then I'm guessing that you wouldn't expect to attract customers for free; the internet is exactly the same, it isn't free nor easy to attract visitors to a website. Invest time and effort and you’ll do well. If you're serious about your website, don't use the cheapest web host or designer. Slow poorly designed pages can influence the rankings of your web pages. Stop searching for gurus or secret tricks that promise to make your site number one in Google (or any other search engine for that matter), they don’t exist. 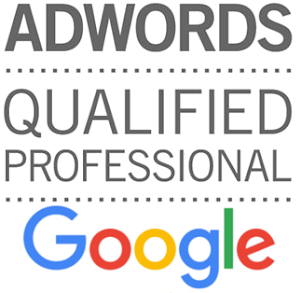 Work with a search engine marketing professional, ideally someone who understands business and how search engines work. Identify your audience and make a plan. There is always something is your business that’s more important that promoting your website (or so you think), talk to someone today (talk to me) about improving your search engine rankings. SEO is not necessarily about getting backlinks. It's also not necessarily about getting high rankings on Google. It is about getting sales. It is about improving your business. Twitter is great when you finally get noticed by an influencer or business that you want to get your brand or service in front of; but how do you get their attention? The easiest way is to tweet about their favourite things or to retweet popular past tweets, but how do you find out that they are? Favstar will allow you to do just that, by simply entering http://favstar.fm/users/their username into your browser you will find out what they like to tweet about and what are their most popular tweets; this then gives you a chance to engage with them on top topics or simply retweet their best tweet (which could have been from years ago!). These are very simple tactic that I have used successfully many times. Many of us don’t all have lots of hours free to sit in front of a device and check our social media as and when things happen, find new people to engage with and track down those influential people that can make or break your business, so if you can only spare 20 minutes a day what should you do? Check that Inbox - Ensure that if anyone had contacted you directly through any social media channel ensure that you get back to them within 24 hours at the very least. Follow relevant people – the sums are easy, the more people you follow the more likely you are to get followers yourself; the more followers you have the bigger the audience is for your message. Take a look at Klout and Kred as both of these will show you who is influential in your chosen topics and these are the people you should be following. Do a few directory searches based on your niche and hit the follow button..
Tweet – and tweet often! Use HootSuite and set your tweets to schedule automatically; HootSuite will then send your tweets out at the best time. As and when you think of a tweet to send simple compose it and AutoSchedule it, HootSuite will send it out at the right time for you. You’ll find that you won’t need too many Tweets to fill each day! Reply – someone has copied you into a tweet or message for a reason, over time you will learn to quickly understand the value in the connections that you have built up and then quickly be able to understand whether entering into a discussion with them is both productive and useful; but like Inbox messages, don’t ignore them! Following these small tips should take you no longer than 20 minutes a day BUT will provide you with huge benefits.